On 6th July 1888 the Bristol Mercury announced that Handel Cossham had purchased the property for £150. The article said that the hall was at that time arranged to seat about 200 persons and that it was intended to alter it to accommodate more than double that number. By an indenture of 20th December 1888 Handel Cossham then of Holly Lodge in St George in Bristol gifted the “the hall called Cossham Hall” to the trustees named in the document as Edward Stafford Howard of Thornbury Castle, Obed Edward Thurston of Thornbury solicitor, Henry Hume Lloyd of Thornbury solicitor, Francis Sturge of Bristol solicitor, Henry Privett Thurston solicitor, John Crowther Gwynn solicitor, Charles King tinman, Thomas Eddington painter, Charles Augustus Porter accountant, Charles Olds bootmaker, George Whitfield miller, John Allen bootmaker, James Bevan bootmaker, John Hodges Williams draper, Thomas Bradfield Westcombe grocer, George Tucker carpenter and Frank Tucker carpenter. The indenture also gave the right to the trustees of the Cossham Hall and those acting on their behalf to access the rear of the hall on foot or with horses and carriages across the driving way and yard owned by Walter Baylis. Walter by this time had bought what became 2 Chapel Street in accordance with the terms of the will of Handel’s father Jesse Cossham. The trustees were allowed to repair alter or improve the old chapel building or even erect another building on the land to be used in addition to or instead of the Cossham Hall. In short they could do anything they wanted with it but sell intoxicating liquor or tobacco. On 21st December 1888 the Bristol Mercury reported on the opening ceremony performed by Handel Cossham. The article tells us that the architect J Y Sturge had endeavoured to maintain many of the old interesting features including” the rails surrounding the platform” and that the building work was carried out by the Thornbury builders, Messrs F and G Tucker. The work done on the property increased the accommodation and also absorbed into the main building the unsightly extension of 1835 that had once offended Handel. See the photograph taken inside the modern Cossham Hall. On 22nd March 1890 Handel Cossham supplemented the gift by conveying to the Cossham Hall trustees the premises in the rear consisting of the house and garden occupied by Miss Esther Saise (subject to her retaining a life interest in the property). The house as described as having been “for many years prior to his death in the occupation of the said Jesse Cossham” but he died before the conveyance was legally completed. Although small in itself, the cottage had a large area of land which lay to the back of the Cossham Hall. It provided both potential for expansion and a chance to develop more than one access way to the hall. 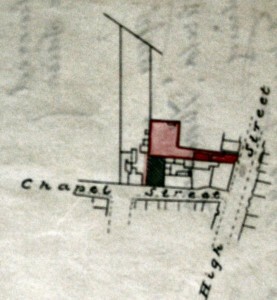 Originally there was only a doorway leading immediately into the narrow part of Chapel Street. Click on the thumbnail image below to see a larger version of the plan of the land marked in pink and the access way across Baylis’s yard is also in pink. Cossham Hall is hatched in dark grey. The Bristol Mercury of 3rd August 1895 reported on a meeting of Parish Councillors in which they discussed the question of whether the Council should take over the Cossham Hall as the trustees requested. The problem was the restriction on the sale of alcohol and tobacco. Dr E M Grace felt “that under the circumstances of the restrictions imposed by the trust deed upon the use of the Cossham Hall, it is not right to spend money on a building, which cannot be used for public luncheons or dinners.” However it was decided by a vote of two against and four in favour of accepting the offer. On the 16th of June 1896 the Charity Commissioners confirmed the change of ownership. Having not had a public hall before 1889, within 10 years there was pressure to expand it or even acquire a different site and build a new one. A report published in the Bristol Mercury on 19th March 1898 shows that a committee set up to investigate the possibilities was against finding another site and building a new hall because of the cost to the ratepayer. They favoured acquiring the piece of land at the rear of the hall of sufficient area to enable the erection on the ground floor of a stage, a ladies and gentleman’s retiring room, emergency doors in case of fire on the right and the left of the hall and a committee room upstairs. This involved the Council acquiring Miss Saise’s cottage or at least part of her garden and attempts were made to negotiate her life interest. On 26th September 1898 the Parish Council approved the scheme for developing the Hall and authorised arrangements for a loan of £500 to fund the work. On 5th November Miss Kate Robinson, who was entitled to the reversion of Miss Saise’s cottage as a result of the failed conveyance in 1890, agreed to complete the conveyance for £50 in compensation, thus carrying into effect Handel Cossham’s wishes. The payment of £50 was given on the understanding that Kate would immediately donate the same sum to the Hall’s building fund. This was a way of avoiding the expense of taking the case to the Court of Chancery. On 16th January 1899 Esther Saise surrendered her life interest in a piece of her garden sufficient in size for a proposed extension for £30 in compensation. This opened the opportunity for extending hall as planned but also led to a great controversy in Thornbury. The main issue was whether drink and cigarettes could be allowed in the Cossham Hall and particularly whether it could be allowed in a new extension. Dr E. M. Grace was one of the people who strongly opposed the extension. At the enquiry in March 1899 which was attended by very large numbers of Thornbury ratepayers, Dr Grace handed in a petition against the extension and explained this objections to the scheme. One of these was that the hall had so many restrictions on it and public dinners and smoking concerts could not be held there because of the bans on tobacco and alcohol. He did not want public money to be spent on something that would not be of general benefit. The sanitary inspector Mr F J Williams had a very practical objection. He did not think it was worth while expanding the hall when the roof and floor of the existing hall were rotten. Later in May 1899 the Council accepted the lowest tender of £436 15s for the work submitted by Messrs E. Bruton and Sons of Oldbury. The work was to include a stage twenty feet long by seventeen and a half feet wide, a ladies’ and gents’ ‘retiring room’, emergency doors and a committee room twenty three and a half feet long by fourteen feet wide. Thus the Council went ahead with the expansion and created a passageway to the rear of the hall through the yard of Francis Williams (who had replaced Walter Baylis as the occupant of the property next door. The Council’s intention was that this passageway was only a temporary arrangement until Esther Saise died when they would be able to make a larger and better access through her cottage. The Western Daily Press of January 10th 1900 reported on the next Council meeting which took place in the new meeting room at the Cossham Hall. After taking into account furniture, site, builders’ contracts and the architect’s fees it had cost £52 9s 6d more than the £495 that had been borrowed by the council to fund the project. The Cossham Hall was instructed to arrange a special concert to help raise this money. We do not know whether caretakers of the Cossham Hall were not well paid in the early days of the running of the hall or whether women simply did not receive the full rate for the job. After the death of her husband Charles on 23rd June 1898. Elizabeth Prewett wrote the Council and asked to be appointed as caretaker of the Cossham Hall, a role which Charles had been carrying out. It was emphasised that she was left with a large family and was totally unprovided for. It was proposed that she be appointed for three months at a salary of £3 per annum, plus one shilling for each meeting held in the Hall. The Cossham Hall played a major part in Thornbury life. It was a venue for dances, theatrical productions, concerts, public meetings and private parties. It was not however all sweetness and light. 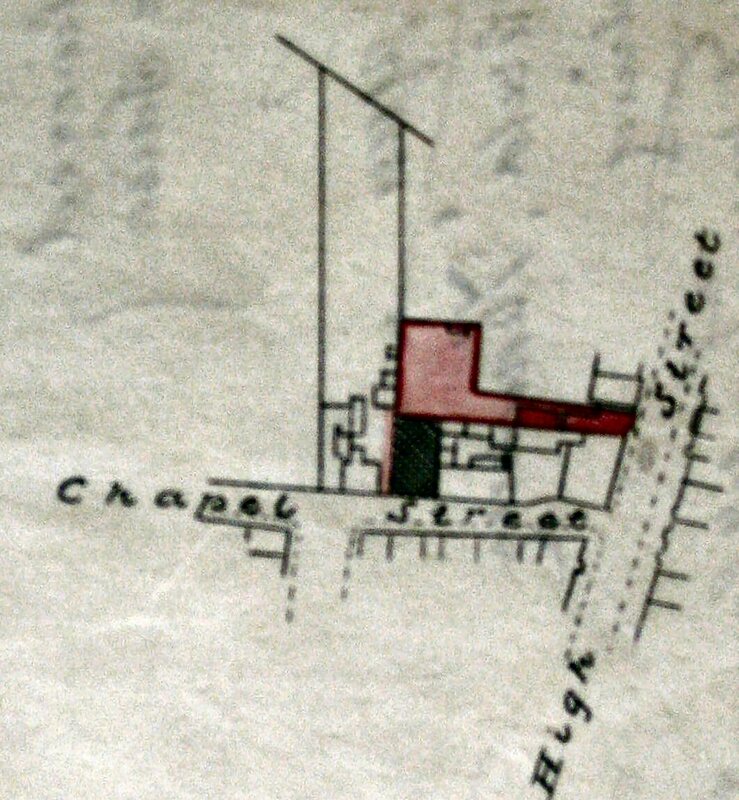 A Parish Council meeting in April 1899 reported that objections had been received from Francis Williams who lived in the adjoining property (2 Chapel Street). He complained that ‘he and his family had been unable to rest as a consequence of the noise from the Cossham Hall which recently had on several occasions continued until three or four o’clock in the morning.‘ There was general sympathy amongst the Councillors. George Whitfield expressed himself against the use of the hall for dancing and pointed out that Handel Cossham had given the hall for educational, religious and moral purposes. W. D. Canning expressed concern that ‘they would kill the goose that laid the golden egg’ if they placed restrictions on the use of the hall. At a later meeting approved a set of regulations for the use of the hall. This included the limit of time allowed for the use of brass or loud instruments to no later than 1am. An amendment put forward by W. D. Canning changing the time limit to 11pm was rejected. 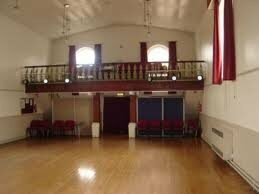 The Hall played a very important in the war time for raising morale and for E.N.S.A. events. We have copies of correspondence in June 1940 which show that the War Office leased the Cossham Hall for £50 a year (even though it was valued only a few months early at £60 a year). The military were not always ideal tenants. We note that Mr Riddiford as Clerk to the Town Council had already been compelled to write complaining that the porch to the hall had been severely damaged in March 1940 only a short time after it had been repaired. On both occasions it seems that a lorry of the 6th Armoured division was held to be responsible by local residents. 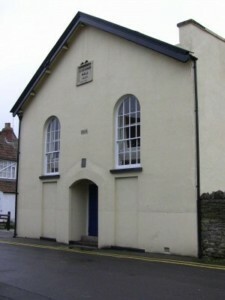 In the same letter Mr Riddiford asked if the Town Council would be allowed to use the hall for the annual parish meeting. The last performance (aptly a piece entitled ‘Final Curtain’) in the old Cossham Hall was on 18th September 1971. The Armstrong Hall Complex was then formally opened on the 9th September 1972. This included the Armstrong Hall which was considerably larger than the Cossham Hall and which was connected to a modernised Cossham Hall with an entrance foyer. The scheme included the Excell Room which now has a kitchen for teas and coffees and also a licensed bar.